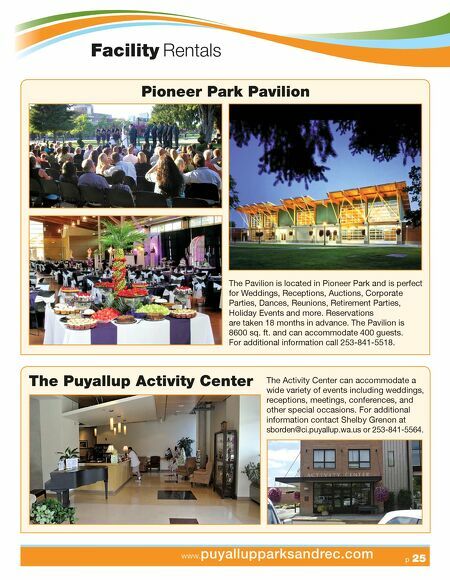 p 25 www.puyallupparksandrec.com Facility Rentals Pioneer Park Pavilion The Puyallup Activity Center The Pavilion is located in Pioneer Park and is perfect for Weddings, Receptions, Auctions, Corporate Parties, Dances, Reunions, Retirement Parties, Holiday Events and more. Reservations are taken 18 months in advance. The Pavilion is 8600 sq. ft. and can accommodate 400 guests. For additional information call 253-841-5518. The Activity Center can accommodate a wide variety of events including weddings, receptions, meetings, conferences, and other special occasions. 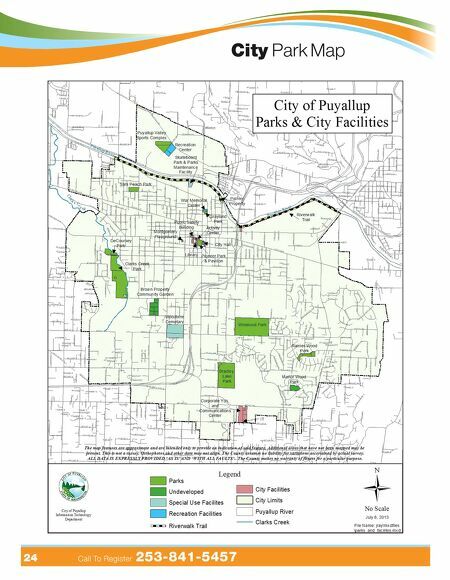 For additional information contact Shelby Grenon at sborden@ci.puyallup.wa.us or 253-841-5564.